The Chancellor Philip Hammond presented the last Spring Budget on Wednesday 8 March 2017. In his statement the Chancellor was keen to point out that he wanted the tax system to be fair, particularly in relation to the distinction between employed and self-employed individuals. 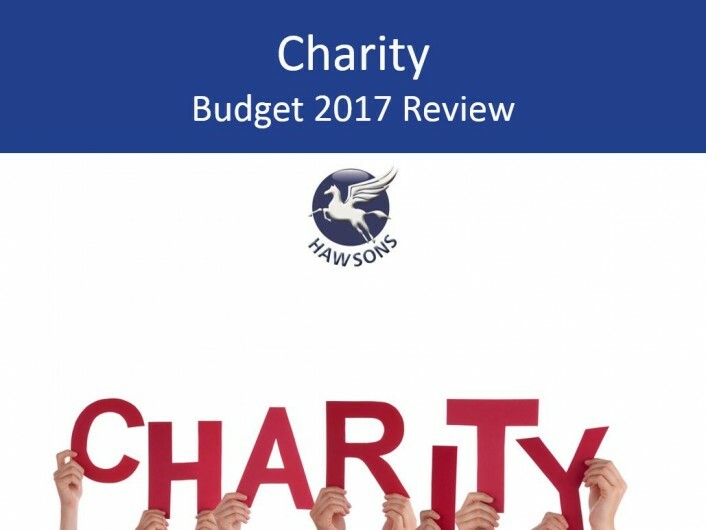 In this article, we look at how the Chancellor’s Spring Budget impacts the charity sector. In his opening statement, the Chancellor summarised the latest forecasts from the Office for Budget Responsibility which show a slow but steady growth throughout the Brexit process. In brief, employment, inflation and trade deficit levels should remain within acceptable levels to the Government. The undeniable headline from the Budget were the changes to National Insurance Contributions (NICs) for the self-employed – which were later withdrawn by the Government – as well as the forthcoming reduction in the dividend allowance. In December and January the government issued a number of the clauses in draft of Finance Bill 2017 together with updates on consultations. The Budget updates some of these previous announcements and also proposes further measures. Some of these changes apply from April 2017 whilst others take effect at a later date. With charities struggling as they are, it is disappointing that there were no sector-wide plans announced by the Chancellor to help alleviate the current situation. While there are positives, charities will have certainly been hoping for additional funding and support. The good news is the extra £2bn for social care which is intended to ease pressures on the NHS. Charities who operate in the healthcare sector will be keeping a keen eye on the Government’s forthcoming Green Paper. This will be looking at how the social care system can be put on a more stable, secure, and sustainable long-term footing, so charities will no doubt be looking ahead to engage with the Government as policies begin to take shape. Another bit of good news is the £435m to support businesses that are affected by the increase to business rates. English councils will see £300m of discretionary relief to use locally and this will be available to charities. As well as that, those who will be losing rate relief will see their increase capped at £600, which is welcome news.